Website accessed at 12:40 p.m. PST, Jan. 20, 2017. The morning of President Trump's inauguration, several webpages outlining official policy and priorities on the White House website were removed or replaced with new text. Those pages include information about LGBT rights, civil rights, law enforcement and climate change. 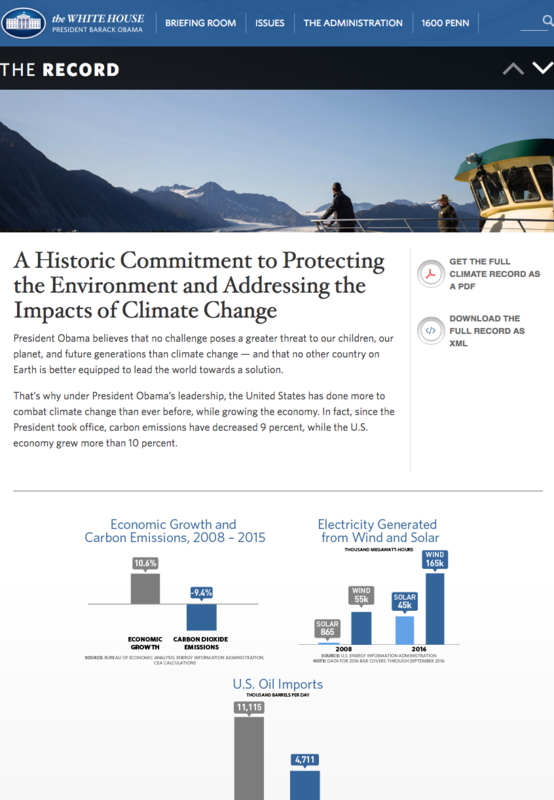 It's not unusual for an incoming administration to change material on the whitehouse.gov site. But it's also a window into the new president's priorities and how he might frame various solutions to the nation's problems. Websites accessed at 12:40 p.m. PST, Jan. 20, 2017. 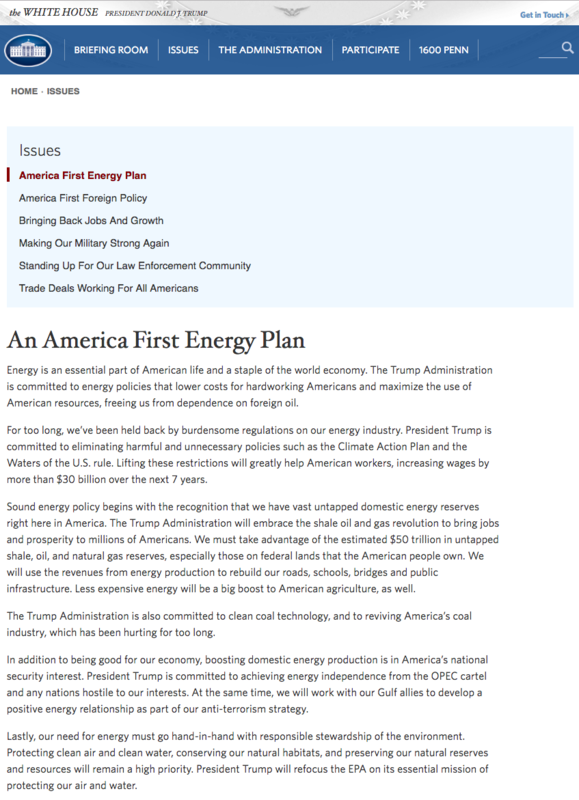 Following the page's removal, a new energy website appeared with the title "An America First Energy Plan.” It outlines the administration's goals to exploit oil and gas reserves and to revive the coal industry. Ironically -- or not -- the page change comes during the same week NASA and NOAA reported that global warming contributed to 2016 being the hottest year since modern record keeping began in 1880. (The main contributor to global warming is the burning of fossil fuels.) Scientists have been fearful that the Trump administration would destroy climate change data, and have begun archiving and saving historical climate records. 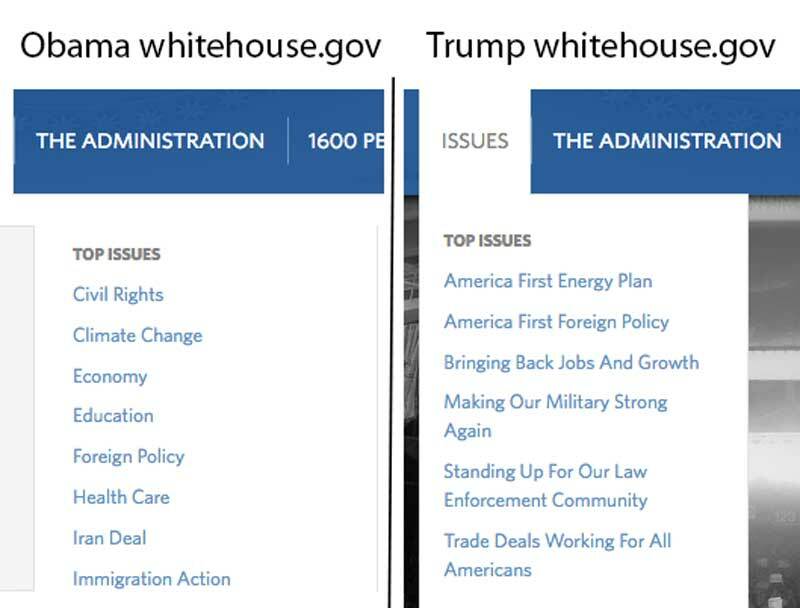 You can find the old Obama administration whitehouse.gov page here.